Puppy training in today’s world is very different than it was in years past. Dogs have become one of the family, and often one of the children for many. Some new owners think their dog arrives to them knowing where to potty, not to whine, and how to sit. Others just don’t know where to begin or do not have the time to do so. Many think, how hard can it be? Actually it is not hard at all! In fact, it is very easy if you devote the time, effort and consistency to do so. That is where many owners are lost. In today’s rat race of working families, children’s activities and homework, the puppy’s training is often pushed aside. The puppy may accompany the family or be left at home. What the owners need to realize is a puppy is always learning! Whether it is good or bad, what they are learning is critical, especially in the first sixteen weeks of their lives. Suddenly that cute, adorable puppy is now six months old and they realize they created a monster! This is a scenario I have heard over and over. While it is always true you can teach an old dog new tricks, it is much harder to do so. Not so much for the dog, but for the owner. Frustration sets in if the training doesn’t go well, and they are back to the same circle of events. Whether you are looking for a family pet, a companion dog for an elderly person or child, or a dog to put into a therapy program, we are here to step you through the process. All houses need a strong foundation in order to support the growing family that lives there. Your puppy must have a strong foundation in order to develop and grow into the well behaved and well mannered dog we all want as a family member. Extensive time and research has been devoted to this training program. Each litter helps us learn more and document our research. We start at three days of age with Early Neurolgical Stimulation. This type of stimulation has significant lasting effects on how your puppy will handle stressful situations. 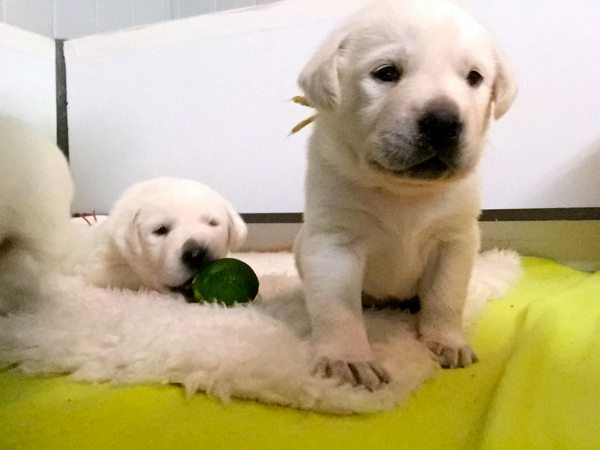 These small combinations of excercises are performed until the puppy is two weeks old. This type of training is actually not anything new, The Bio-Sensor Program has been around for years. We also use an Early Scent Introduction Program. Which research has shown extremely positive results. Just click the links above to learn more about these programs and watch our videos.Over the course of the next few weeks the puppies’ training is focused on sounds, sights, and making them aware of their body parts. This is all key as the puppies central nervous system is developing. Puppies will have various reactions to the sights and sounds just as they did with the scent work we did when they were younger. No puppy is ever pushed passed their “threshold” as that is a key to positive effective training. We place great focus on the tempermaent training. This is done by teaching dogs the “opposite” factor. They must know how to diferantiate the difference between being “easy” and being “alert”. 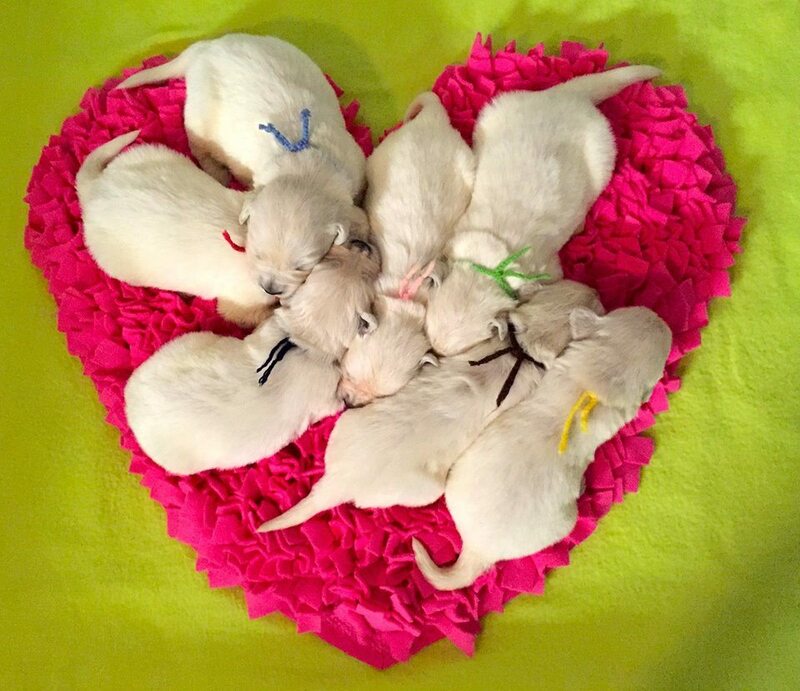 We use color and play to teach the pups. We use their mom and nature walks to teach them how to walk loosely on a leash. 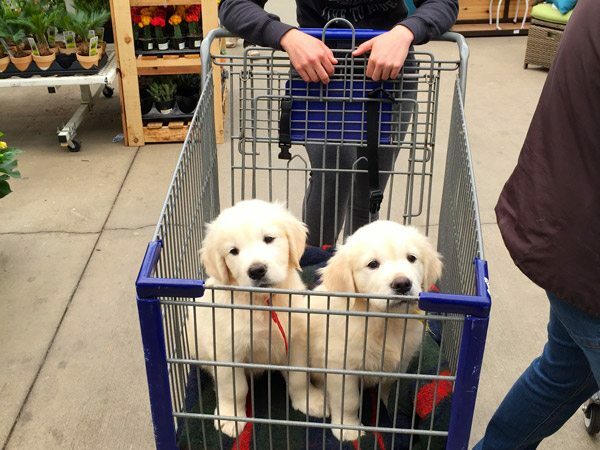 Puppies will be crate trained, learn how to “potty” on command. Basic obedience commands will be introduced or fine tuned depending upon your desired training program. Socialization is crucial for any dog to integrate into our world. They do not understand, cars zipping by, electronic doors opening, fire alarms going off, kids playing at recess and much more. By exposing the puppies to these items at an early age helps teach them our way of life. Think of how nervous you may feel going to a foreign country, not knowing the culture or language, and then someone yelling at you because you did not react how they felt you should? That is how under socialized puppies feel. We start them safely at 6-7 weeks. As they receive their shots, we then increase their public exposure. Therapy and companion dogs are put into our 15-week program in order to make sure they will be able to handle all the responsibilities of their new job. To read more about the extended socialization program please CLICK HERE.